Rogers Brothers Silver dates back to the early 19th century. In 1847, the company became a household name when it perfected a process for electroplating silver. The Meriden Britannia Company bought Rogers Brothers Silver in 1862. Meriden, in turn, became the International Silver Company--a name it has carried since 1898. International Silver continues to produce Rogers Brothers Silver. The original company was strictly a family concern. William Hazen Rogers became an apprentice silversmith in 1820. Two other brothers, Asa and Simeon, soon joined him. The Rogers brothers worked in Hartford, Connecticut. 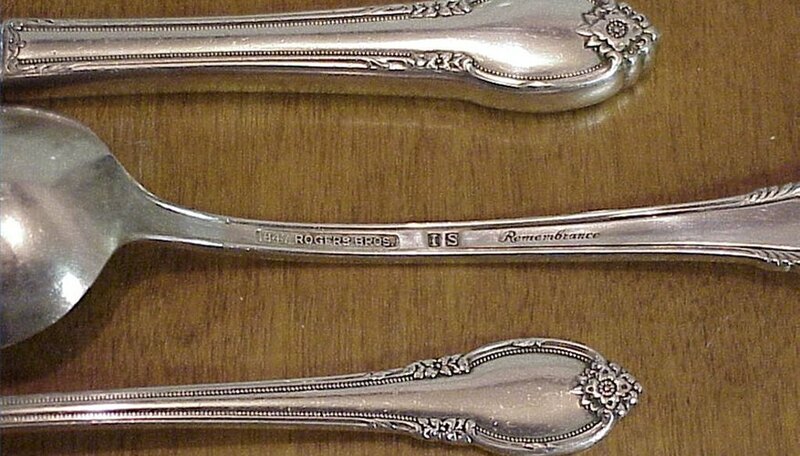 From 1847, the Brothers placed their trademark on silver-plated spoons. The new electroplated pieces were so popular that other individuals named Rogers actually joined with the original Rogers brothers just for the privilege of using the Rogers Brothers name. The Rogers brothers used a process called electroplating to create fine pieces of silverplate and silverware. Electroplating involves the use of electricity and an electrolyte, such as a cyanide solution, to cause tiny particles of silver to adhere to a metal surface. The metal base is usually copper. The electroplating process is continued until a sufficient coating of silver is built up, usually thousands of an inch thick. The coating is thick enough to be permanent, and to permit the incising of often intricate designs. As part of Meriden Britannia in the late 19th century, the Rogers Brothers line included a variety of luxuriant and exotic designs. Patterns with names such as Arcadian, Assyrian, and Assyrian Head recalled the era's fascination with the splendors of the ancient world. Designs included rich scrollwork, foliage and even small ornamental busts and dancing figures. The Saratoga, Newport, Princess, Imperial and Crown patterns conjured more contemporary images of wealth and luxury. The company reached out to an ever-expanding pool of consumers with one of the most successful advertising campaigns in history. In 1912, Rogers Brothers created the 1847 Girl, a nostalgic evocation of mid-19th century innocence and beauty. Stella Brooks of Meriden, Connecticut, was the inspiration for a series of busts and full-length figures that dominated magazine ads, postcards, and brochures for decades. The figure was re-designed for Rogers Brothers 100th anniversary in 1947--a sexier but still elegant figure for a new era. What Are the Different Maker's Marks on Sterling Silver? How do I Identify Leonard Silver?